Zero Breast Cancer, a community-based Northern California non-profit, needs an experienced executive director. The new director, who will replace Janice Barlow, must be prepared "to drive the direction and expansion of breast cancer prevention research, advocacy and educational programs in the San Francisco Bay Area and beyond." Well, that most likely depends on the individual's imagination — and skills. ZBC was founded in 1995 as Marin Breast Cancer Watch by a small group of women with invasive breast cancer who wanted to find out why Marin County and the Bay Area had a particularly high incidence of the disease. In 2000 it gave out its first annual Honor Thy Healer awards, recognizing both individuals and organizations. 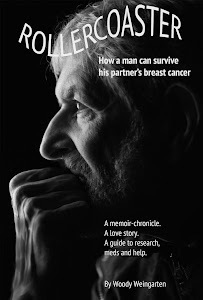 I, Woody Weingarten, author of "Rollercoaster: How a man survive his partner's breast cancer," have been the only person to earn the honor twice — once for being the caregiver for my wife, Nancy Fox, and later along with Marv Edelstein and Dan Goltz as longtime members of our weekly support group, Marin Man to Man. Marin Breast Cancer Watch became Zero Breast Cancer in 2006, with a "focus on identifying environmental factors and the role they play in breast cancer." The San Rafael-based organization collaborates "with local and national scientists on studies designed to identify the causes of breast cancer and breast cancer recurrence." It also sponsors the annual Dipsea Hike, a noncompetitive fundraiser that follows a six-mile loop beginning and ending at the Dipsea steps. Ms. Barlow is stepping down from the executive director's position after more than 10 years in the post. 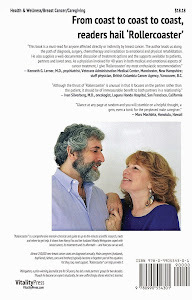 More information about ZBC is available at www.zerobreastcancer.org or (415) 507-1949.